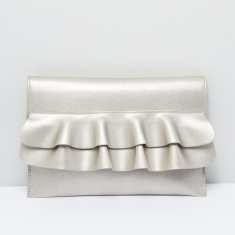 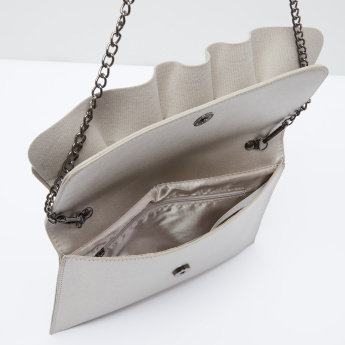 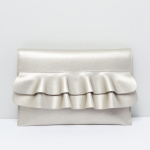 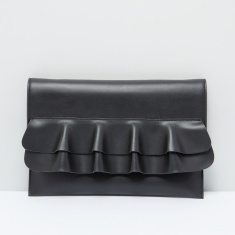 Attractively designed with a wave detail, this bag adds a classy touch to your attire. 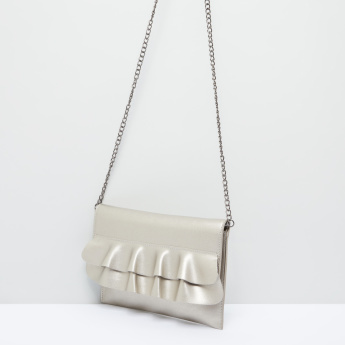 The detachable metallic chain ensures that you can use it as a crossbody bag as well. 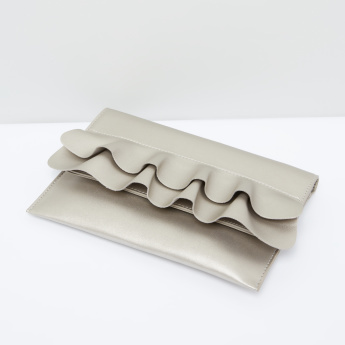 Also, the magnetic snap closure ensures easy usage.